First Day of My Life: I Said YES!! Friday night V & I went to a bonfire with some friends a few miles down the road. It was after midnight when we finally decided to head home - I had work the next day. Soon, we realized the car & house keys were missing. (Again!) We searched for near thirty minutes. No dice! Even midst the searching V kept making a comment - "today is going to be the best day of my life." My answer back was - "how?!" He says "you never know. But I promise you it will be." Some friends drove us home to try to help us break into our house. As we were walking down to the beach, he said "today is going to be the best day of my life!" I kind of rolled my eyes - wanted to go to bed since I had to be up early for work. I did know that I couldn't be with someone better than him after losing keys - his attitude was so great. We handled such a crummy situation so well! After looking for a couple of minutes, V took my hand & put it on his chest. He asked me if I felt how much his heart was beating and he asked me why it was beating so much. Me being the smart alec I am (and tired!) said - "because you're alive!" He kind of rolled his eyes and smiled. Then...HE GOT ON ONE KNEE & proposed! I joined him in the sand...we kissed & hugged & were laughing & just so happy! We stayed on the beach for a couple of hours after that like little kids on Christmas...incredibly excited & happy, gabbing away! I am so beyond thrilled! For some reason I didn't cry when he proposed - maybe because I was in shock? But oh boy have I cried since the proposal - especially when I think how HAPPY I am! I'm going to be marrying my best friend! I simply cannot put into words how I feel...my heart feels SO much fuller (which I didn't think was possible!) and thinking of growing old with my best friend makes my heart melt and gives me a smile so big! And yes...he really did lose his keys. Wow new job and getting engaged in the same week! You have a lot of great stuff going on!! Congrats. Had he planned to do it that night all along? Funny that he still did it after losing the keys. You will always remember that. Yay! Congrats! I'm soooo happy for you! Ahhhhhhhh congratulations!!!!! So happy for you! Awww yay! Congrats doll. You sound so happy and you deserve it. :). And I know I haven't posted my swap post yet, but I will. Sorry! But anyway yay for you! Super cute proposal!! Love it! Congrats girl! FINALLY you're announcing! Now I don't have to be super careful what I say!!! :-) Congrats again, lady! Love you!! Lots and lots of love and Congratulations to you both! Ahhh! So exciting! 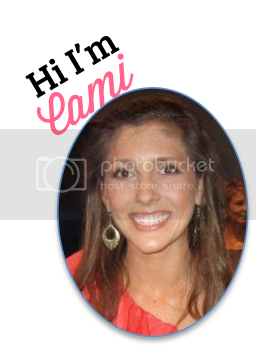 Congratulations, Cami! What a beautiful bride you will be!!! congratulations!!!! when you said you had something to reveal today that was my first thought! good luck with the wedding planning. it is soo much fun! Thats so awesome! What a great proposal and a great story! Congratulations! Can't wait to hear all about your wedding planning!!! AAAAAAAHHHHHHHH!!!!!!!!!! COngratulations! I am so so soooo happy for you & V!!! :) Big hugs my friend! Congratulations! Do you have a ring?! Get ready for your heart to continue to fill up and over flow! CONGRATS! That is so awesome! Can't wait for wedding posts! Oh my goodness that is wonderful! Congratulations! aww!! i am so so happy for you! congrats, girl! Aaaaahh! CONGRATULATIONS!! I'm so happy for you both :) What a sweet, happy memory this story makes :) I'm just SO excited!! Congrats! So excited and happy for you! YAYY! Congratulations! What exciting news! OMG, that is sooooooo sweet AND exciting!!!! 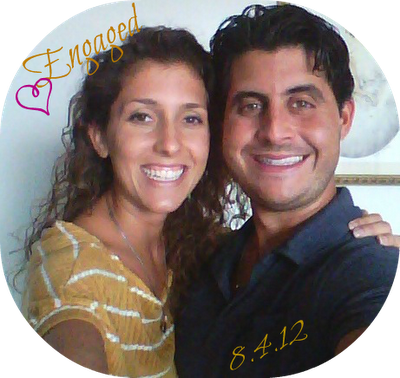 What a great engagement story...something so stressful turned into such a beautiful and wonderful thing!!! I am so very happy for you!!!! You have a lot of love and positiveness in your life; you are so blessed! Congratulations!!!!! so sweet!! yay! im so excited for you girl!!!! CAMI!!! Congratulations!!!! I am oh-so-happy for you and V! !